When you become a member of The Arc of Northern Shenandoah Valley, you become one of many voices speaking on behalf of our families impacted by intellectual and developmental disabilities. In addition to furthering our advocacy measures, you receive membership to both The Arc of Virginia and The Arc of the United States. Click here to become a member! Did you know The Arc of Northern Shenandoah Valley is operated by a volunteer board of directors and one part-time Executive Director? We are always in need of volunteers to help with events, social media, resource fairs, presentations and more. If you would like to join us as a volunteer, please fill out our interest form. We are often in need of in-kind donations. Office supplies, gift cards for events, silent auction and raffle items for fundraising events help our small organization reach many families. If you have an in-kind item you would like to donate, please message us here. Last, but not least, we greatly benefit from the financial support of our community. Through membership, event sponsorship, recurring or one-time donations, your support will enable us to continue to provide services at no cost to our families or community. 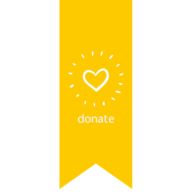 Click here to make a donation.